Ken-Betwa Link, linking these two rivers, is in news these days. These rivers originate in Vindhya region of Madhya Pradesh, and travel through Bundelkhand, before merging with River Yamuna in Bundelkhand. Ken is a smaller river compared to Betwa. Ken used to be a perennial river, but has become almost a seasonal river over last several decades due to a variety of reasons. Deforestation and massive sand mining are two important reasons. Not much flow is in the river during post-Monsoon season. Ken river is an important source of livelihood for people in Panna and Banda Districts of Bundelkhand. Not only it provides drinking water, but it also provides water for irrigation. National Water Development Agency (NWDA), under Union Government of India, calls Ken river to be a “water surplus” river and Betwa river to be a “water deficit” river. They want to link Ken river with Betwa river via a canal. This will divert water from Ken to Betwa river near Tikamgarh. This would help people mostly in Chhattarpur, Jhansi and Tikamgarh. Everybody, who has any real knowledge about river Ken, knows that Ken doesn’t have much water. NWDA has not publicly disclosed as to how they call Ken to be “water surplus”. River-linking projects are supposed to deal with the issues of recurring droughts and floods in India. There are a total of 30 such projects-14 in Himalayan basin and 16 in peninsular basin. Ken-Betwa link is under the latter category. There is much concern about Ken-Betwa link project. NWDA has not disclosed how Ken is a water surplus system, when there is no practical evidence of it. There has not been a proper and transparent consultation with people. There is serious lack of awareness about it among people. I called up several people in Banda, UP today. They either didn’t know much about it or, worse, felt that water will flow from Betwa to Ken. Out of 78MW electricity produced from the dams, which will be constructed under the project, almost 30% of the electricity will be consumed in pumping water from Ken into a higher altitude Betwa river. This project will help Chhattarpur, Jhansi and Tikamgarh, but is unlikely to help Panna, Banda and Mahoba. There is a real risk that people in Banda and Panna will be severely affected. The project appears to be based on unscientific and unverifiable data. If the data is scientific, it has not been publicly shared. Ken needs to be a flowing river, but it’s not certain if it will be so, with recent agreement between UP & MP Governments. I am originally from the region of Banda/Panna and know the situation regarding Ken river. I am concerned about the real possibility of major harm coming to people along the Ken river, because of diversion of water from Ken river, without full understanding and explanation of the pros & cons. It doesn’t make much sense to help a set of people at the cost of another set of people. Political consideration of any particular politician(s) can’t be the justification for any project. Local MPs-Mr Bhairav Prasad Mishra, Mr Pushpendra Singh Chandel and Mr Vishambhar Prasad Nishad, as well as local MLAs/MLCc, must take a keen interest in the pros and cons of the project, and make their voices heard. Keeping mum is not an option. Local media too must study this project and raise the appropriate issues. Intelligentsia from the local region, especially Banda and Panna, must discharge its duties, just like Rajmata from Panna did recently. I have just heard a very sad story involving a poor and old woman named Shrimati Kalawati. She is an elderly lady from a lower caste named Koshtha. She is from Mohalla Sarai Jama Masjid, Unnao Gate Chowki, under Kotwali Jhansi in Uttar Pradesh (UP). Jhansi is in Bundelkhand, the place I also originally come from. Bundelkhand is a poorly developed region of UP. She is desperately poor and is being persecuted by people in her neighborhood because of a variety of reasons including attempts to displace her from her home to enable them (neighbors) to occupy her dilapidated small home. This is sad, painful and heart-breaking. I have requested the Honourable Chief Minister of my State Uttar Pradesh, Shri Yogi Adityanath ji and the administration to issue orders to relevant people (officials) to help this old lady. After an active campaign on Twitter, urging UP authorities (the Hon CM, Deputy Chief Ministers, Minister Swatantra Dev Singh, Chief Secretary UP, DGP, DIG Jhansi, Rahul Srivastav PRO to DGP, Nikhil Srivastava head of social media in CM office and a key OSD to the honorable CM and SSP Jhansi) to help this poor woman, a police team visited her. Words of assurance have been given. Things have started to happen. The system is moving. Now what she needs is a Rashan Card & a connection for electricity. This is within the powers of District Magistrate of Jhansi. I have urged a few local people to help her in these matters. A message with this request has also been sent to the DM Jhansi directly. Further update: Jhansi’s Govt authorities have visited her again and provided further help. Thank you. This tweet from Jitendra Yadav (a local police person) outlines what is being done. Sincere hanks are due to UP authorities to act in this matter. Thank you. During recent assembly elections in India, Bhartiya Janata Party (BJP) had a landslide victory in the state of Uttar Pradesh (UP) and Uttarakhand. Indian National Congress (INC) had a huge success in Punjab. The political mandate in Manipur and Goa was fractured, but BJP was able to form alliance Governments there with smaller parties and independents. The magnitude of verdicts in UP and Punjab was clearly unexpected. Aam Admi Party (AAP) was projected to win Punjab if pre-election opinion polls were to be believed, but the final result was not in favour of AAP. Instead, INC had an almost a landslide under Capt. Amarinder Singh’s leadership. AAP was a distant second. In Uttar Pradesh is the most populous state, which sends 80 MPs to the Lok Sabha (Federal Parliament). Like 73 seats captured by BJP alliance in 2014 national elections, the landslide for BJP alliance in 2017 was also clearly massive. Their vote share this time (40%) was very close to what they had in 2014 (42%). The alliance won 325 (BJP 312, Apna Dal 9 and Suheldev Bhartiya Samaj Party 4) out of 403 seats. Samajwadi Party (SP) of incumbent Chief Minister (CM), Shri Akhilesh Yadav won 47 seats, INC 7 seats and Bahujan Samaj Party (BSP) under Ms Mayawati only 19 seats. It was unexpected and nobody thought this will happen. BJP did not have a declared CM face in comparison to popular sitting CM, Shri Akhilesh Yadav, who had managed, only a few weeks before the elections, to have the full control of SP. The timing of this was probably too late. UP is known for a caste and religion-based voting, but it did not matter this time. All calculations based on specific castes and Muslim votes failed. There were many factors, which gave a landslide victory to BJP and worked against others. 1. SP-INC alliance did not help them, largely because INC doesn’t have much influence in UP. There are reports that supporters of these parties might have not helped one another at the ground level. The alliance formation was announced too late and there wasn’t much time to get them to work together effectively. 2. SP-INC alliance pushed Jats of Western UP, a numerically important community in the region, to go in mass with BJP, instead of Rashtriya Lok Dal (RLD) of Ajit Singh, because of their political rivalry with Muslims in that region. This movement of the Jat votes helped BJP in Western Uttar Pradesh. 3. Excessive public focus on Muslim votes created a political backlash for SP-INC and BSP, thus creating a polarisation of Hindus away from them and towards BJP. Hindus felt that political parties were more focused on Muslim votes and didn’t care for their interests. 4. Hindu polarisation was accelerated when BSP gave 100 tickets to Muslim candidates and sought their votes in a very public campaign and “Muslim-BSP Bhaichara” meetings, under the leadership of BSP leader, Shri Naseemuddin Siddiqui and his son, Shri Afzal Siddiqui. 5. Minister like Azam Khan did not help the chances of SP, because of his statements, which were not perceived by people to be in good taste. His statements only helped polarisation of Hindus against SP. 6. Smart social networking by BJP with Non-Jatav Dalits (Jatavs are about 10% of the total 21% under Scheduled Castes category) and non-Yadav OBCs (Yadavs are 9% of a total 39% under Other Backward Castes category) paid political dividends to BJP. 7. Demonetisation, despite some concerns and adverse media coverage, was popular among masses, and it did not create a political loss for BJP. Nobody knowns exact benefits to the nation from demonetisation, but its marketing certainly gave political benefits to BJP. 8. Law and Order has always been a problem in a big state like UP, but people had a particularly bad perception (real or imaginary) about it over last few years. 9. People like Gayatri Prajapati, a minister in the SP Government, did not help the image of the Government. Ordering of an FIR against him by the Supreme Court of India in the middle of the election did not help the SP Government’s chances. 10. There has been saturation media coverage of the recruitment drives, with a perception (real or imaginary) of these recruitment drives, selectively and disproportionally benefiting only a few castes over last few years. 11. Shri Akhilesh Yadav is a decent and educated political leader, but suffered political consequences from the perception that he was not in full control of the Government and bureaucracy, because of interference from some influential SP political leaders. Periodical bagging and lashing of his Government by his father, Shri Mulayam Singh Yadav did not help. By the time he asserted and took control of the party, it was already too late. 12. Public infighting in SP and lack of campaigning by Shri Mulayam Singh Yadav created a perception about disunity in his political Party and their chances of a victory. There are suspicions that some SP political leaders worked against their own party due to infighting and to avenge the slight. Things would have been different if change-over in SP has happened at least 6 months earlier. 13. BSP did not succeed in its outreach to non-Jatav castes. Even Muslim votes did not go to it in big numbers. 14. Prime Minister, Shri Narendra Modi’s popularity and his intensive campaigning along with political management by BJP President, Shri Amit Shah, have played a huge role in BJP’s victory. BJP has elected Shri Yogi Adityanath as the CM of UP, which has created a big news, not only in UP but also nationally and internationally. 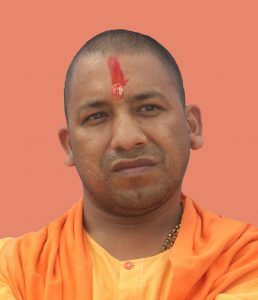 Yogi is an assertive and outspoken BJP leader, which, obviously, creates an army of detractors and as well as supporters, besides giving him an image of a hardliner. Will he be a good CM is a question whose answer nobody knows with certainty today. On a positive side, he has already told all ministers to declare their wealth and properties within 15 days, and instructed bureaucracy to control law and order without any delay or favour. He has promised to govern for every person in UP, with the motto “Sabka Saath, Sabka Vikash” which translates as “With everyone and for everyone”. We all know that perception alone may not tell the full story. New CM is not known to be a follower of political correctness and has said many things, which many seasoned politicians will shy away from saying. A classic example of this is his questioning of so-called secular brigade (whose members are often derided in social media as pseudo-seculars) in India, which has a habit of hyping up of even minor indiscretions committed by the majority community, but goes into a totally silent mode when major wrongs are committed by the minority community. A classic example of this hypocritical behaviour is their lack of speaking against or doing anything worthwhile against the exiling of the community of Kashmiri Hindus (Pandits) from Kashmir by Islamists in that state. Political success of BJP in UP was because they were better at networking and coalition formation with various groups, and were better able to tap into the concerns and anxieties of the people. Their deft management of BJP Government formation in UP can be evidenced by the appointment of two deputy CMs, to complement a CM from Rajput background (although he is a Sanyasi, which means he has no caste) with one deputy CM from Brahmin community and another from OBC community. There is ministerial representation from almost all important segments of society, including Muslims and Sikhs. and demoralising defeat for the opposition are not the only ones. It has given a serious blow to the reliance of political parties on castes and Muslim votes (19% of UP population). Political pundits are talking about BJP receiving significant support from people from even those castes as well as Muslims, who are not supposed to vote for BJP. Out of 42 Muslim dominated seats, BJP won 32 compared to only 6 in 2007, and 7 in the 2012 elections. And, the vote share of the BJP in these constituencies (39.2%) was very similar to their State average (40%). Also, 35 of the 42 Muslim-dominated constituencies had a Muslim candidate fighting from a major party, (either the SP-Congress alliance or the BSP; the BJP did not field any Muslim candidate across UP). Of these 35, 26 were won by BJP and 9 by SP. It appears that even many Muslims voted for BJP this time. (https://goo.gl/EYCkDM). This election verdict will push all political parties to rely more on policies, not caste equations and Muslim votes. This is good as, after all, everyone including Muslims need the same good infrastructure, crime control, and development. Yogi is an untested CM for the obvious reason, but he is the CM of Uttar Pradesh now. He should be judged by what he and his Government will do in Uttar Pradesh, not some of his fiery speeches around the elections. People from UP want to have the best governance for everyone, and with the focus on development, infrastructure and jobs, and crime control, without any favour or discrimination for anyone. It would be equally fitting for every political party in UP to respect this verdict from the people, provide constructive support to the Government, not oppose everything for the sake of opposing, and get into the reaching out to the people with rational and balanced policies, which treat people as people, and not as some specific vote banks. The sooner they accept that caste and religion have had their days, and better strategies are needed for getting people’s votes, the better chances they will have in returning back to the power in 5 years.